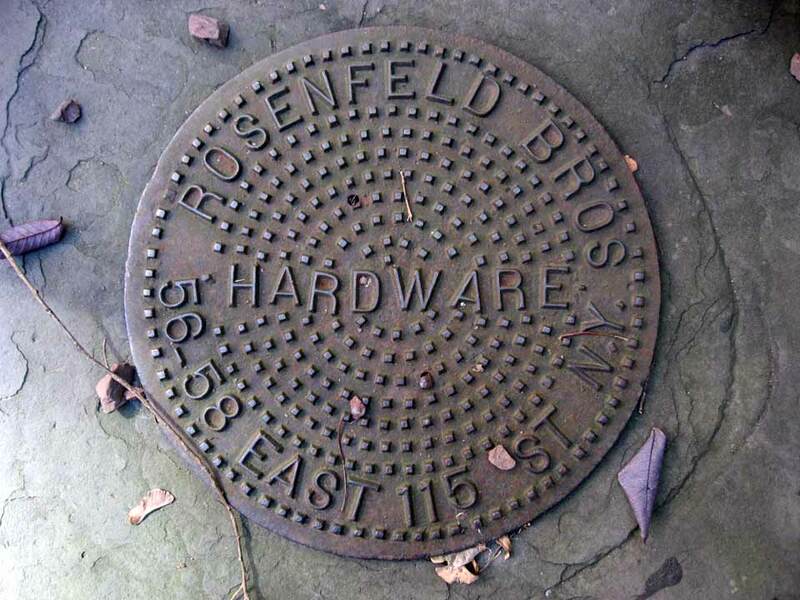 Rosenfeld Bros. began as Benjamin Rosenfeld, hardware, at 58 E. 115th St. in 1910. The 1910 U. S. Census recorded Bernard Rosenfeld, hardware dealer, living at 58 E. 115th St. Bernard Rosenfeld was 49 years old, an immigrant from Russia in 1883. He lived with his wife, Jennie, two sons, Max, age 18 and Reuben, age 16, and four daughters, Dorothy, 15, Sadie, 12, Jessie, 10, and Alice, 8. Like their father, Max and Reuben were recorded as hardware dealers. Max Sargent Rosenfeld (1891-1965) and Reuben Rosenfeld (1893 or 1894-1959) were the Rosenfeld Bros. They took over from Benjamin (Bernard) Rosenfeld in 1915. This business was listed in city directories as Max S. Rosenfeld, Hardware, 1915-1917, M. S. Rosenfeld Bros., 1918-1944, and Rosenfeld Bros., 1945-1959. On his death in 1959 Reuben Rosenfeld's obituary in the New York Times, 6 Jan. 1959, p. 33, read, "Reuben Rosenfeld of 2614 Davidson Avenue, the Bronx, a partner in M. S. Rosenfeld Brothers, wholesale dealers in hardware and builders' supplies at 56 East 115th Street, died yesterday of a heart attack. His age was 65. Mr. Rosenfeld, a veteran of World War I, belonged to the Jewish War Veterans. He was a member also of the Masons and the Zionist Organization of America. He had received a citation from the United Jewish Appeal for his fund-raising efforts. Surviving are his widow, Freda; a son, Martin; a daughter, Mrs. Lucille Guttman; two brothers, Max and Jesse; two sisters, Mrs. Gertrude Kramer and Mrs. Alice Strong, and two grandsons." On his death Max S. Rosenfeld received the following obituary in the New York Times, 7 Dec. 1965, "Max S. Rosenfeld of 250 West 94th Street, retired president of the hardware and plumbing supplies business bearing his name at 56 East 115th Street, died yesterday at Katonah, N.Y. His age was 74. Mr. Rosenfeld was a former treasurer of the Hebrew National Orphan Home (now the Hartman-Homecrest Home of the Jewish Child Care Association, Far Rockaway, Queens). He was also a trustee of Yeshiva Univeristy and a national officer of the Union of Orthodox Jewish Congregations. Mr. Rosenfeld was honorary president and formerly president of Congregation Ohab Zedek, 118 West 95th Street. He leaves his wife, Lillian; a daughter, Mrs. Claire Blum, and four grandchildren." Other Rosenfeld Bros. coal chute covers are found at 342 W. 122nd St., and 8 W. 128th St., New York City.